It is not looking good for Rhinoceros. 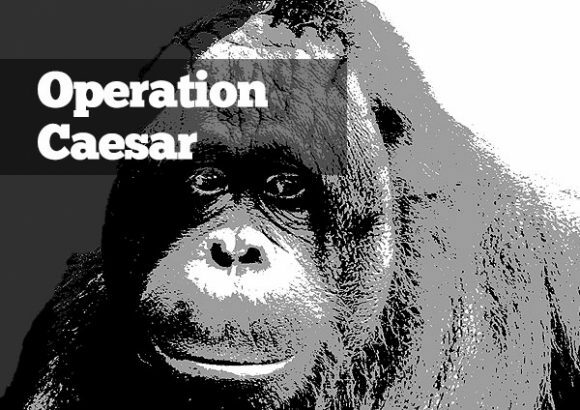 It is calculated that over 500,000 of these gentle giants roamed in the wild across Africa and Asia at the beginning of the 20th century; estimates done at the end of 2015 brought the figure down to only 30,000 individuals left. There are five species of rhinoceros (two African and three Asian): white rhino, greater one-horned rhino, black rhino, Javan rhino and Sumatran rhino. 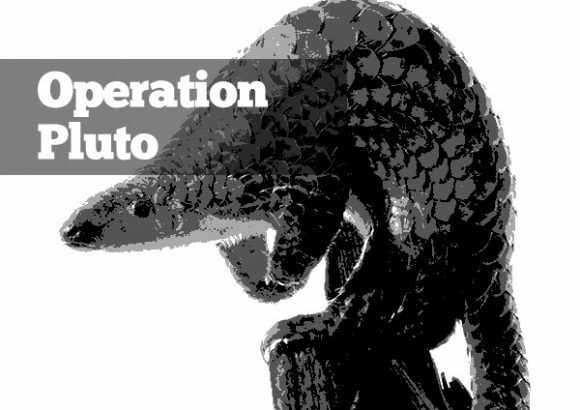 The latest three are critically endangered. 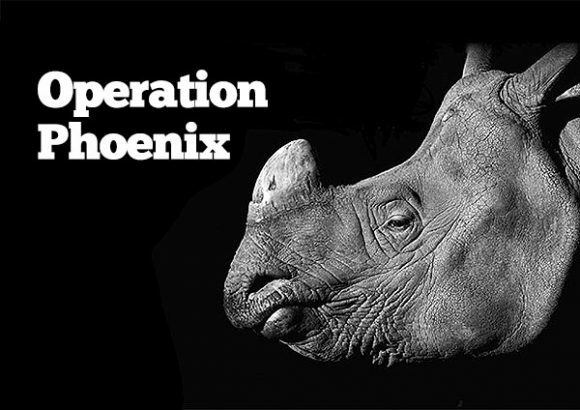 Rhinos are poached for their horns. 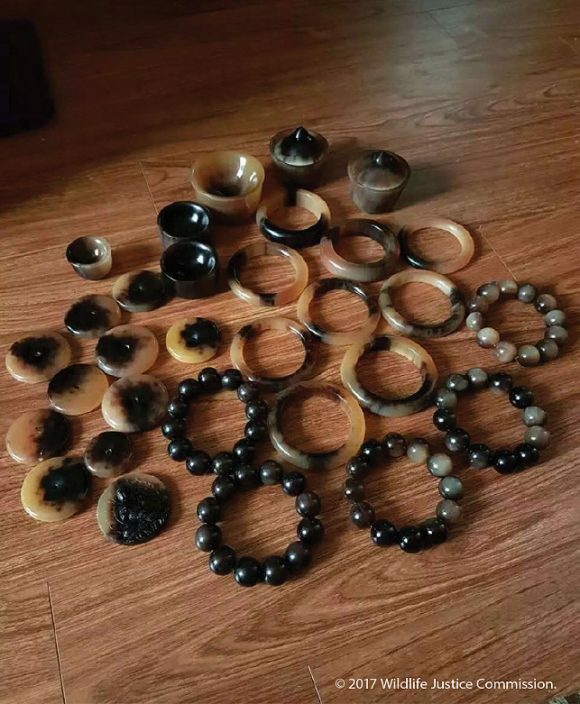 The demand for rhino horn products in Asia has increased over the past few years, resulting in a staggering and unsustainable impact upon poaching of the species, despite the ban imposed by CITES in 1977 on the international commercial trade of rhino horn. It is estimated that a rhino is killed for its horn every 8 hours. 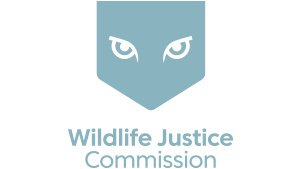 Investigators from the Wildlife Justice Commission (WJC) witness the illegal trade of ‘raw’ rhino horn and ‘worked’ products every day. 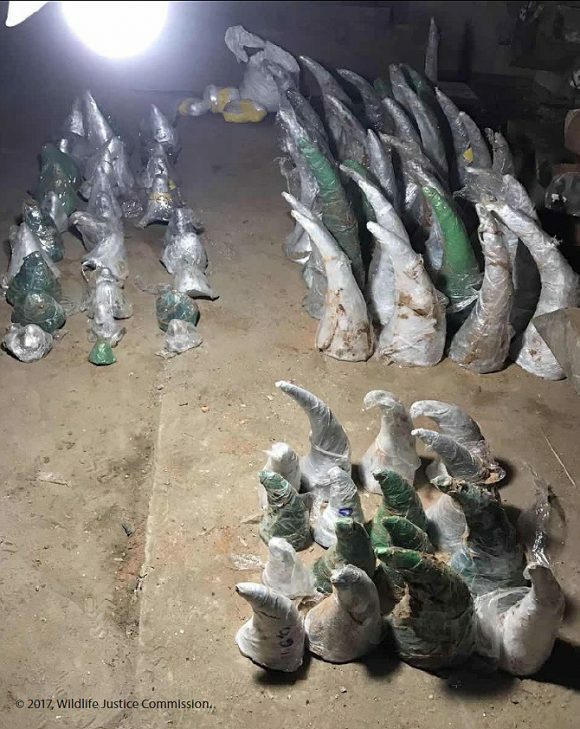 During our undercover investigation in Nhi Khe (Vietnam) over a period of 12 months, our teams directly observed rhino horns and products estimated to equate to 579 rhinos, with an estimated street value of USD 42 million. 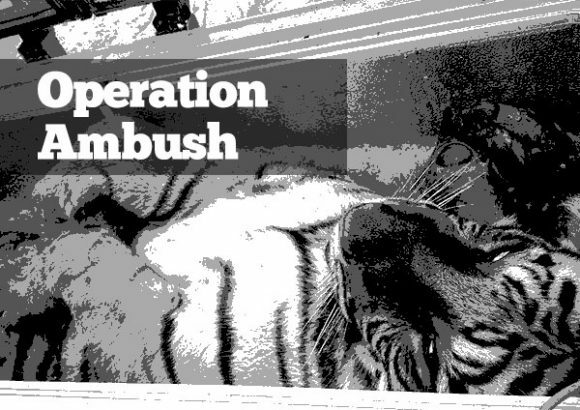 The WJC report “Black Business: Illegal Rhino Horn Trade Dynamics in Nhi Khe, Viet Nam, from a Criminal Perspective”, has been launched today: it is a case study that describes the dynamics of rhino horn trafficking in Nhi Khe (Viet Nam) and the fluctuations of the value of raw rhino horn presented to our undercover operatives during the course of our field investigations. 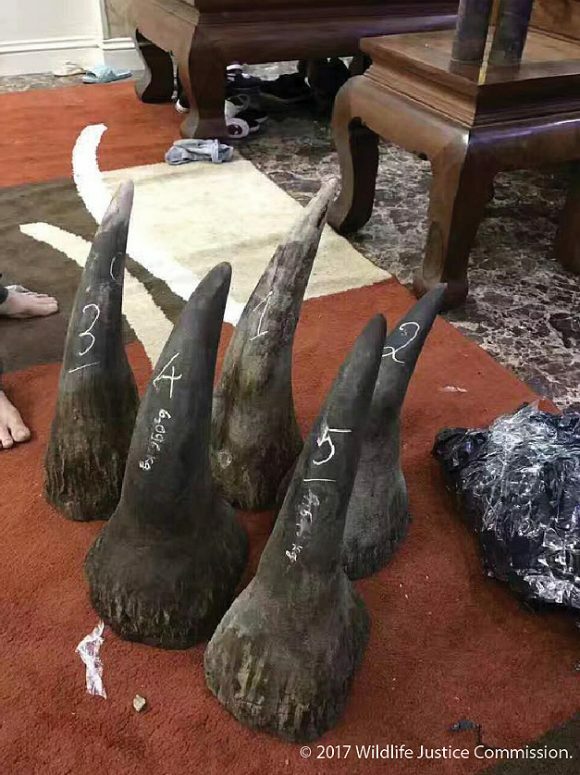 Group of 5 raw rhino horns, numbered 1-5 and weighed. 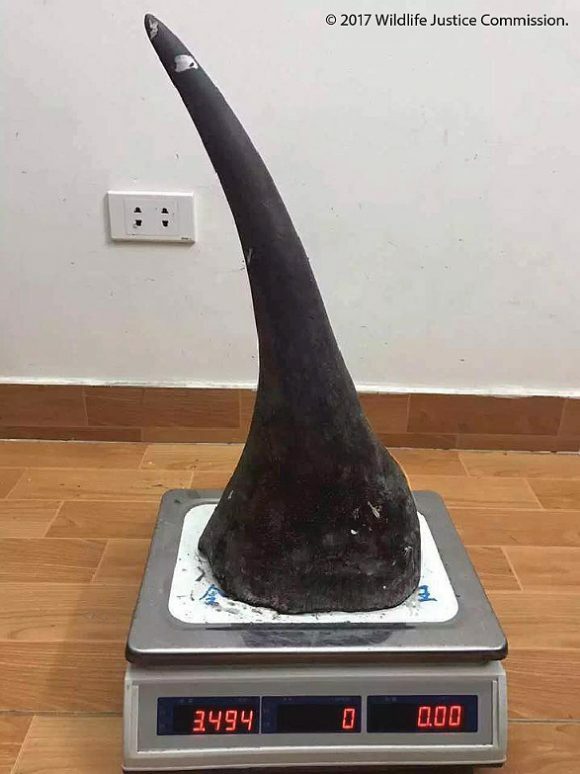 Front rhino horn on a scale at a suspected trafficker’s home, weighting 3.49 kg. 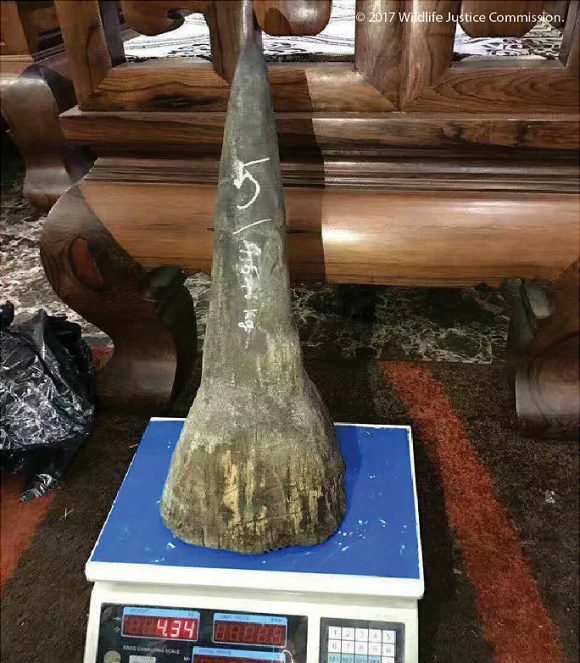 Front rhino horn on a scale at a suspected trafficker’s home, weighting 4.34 kg. 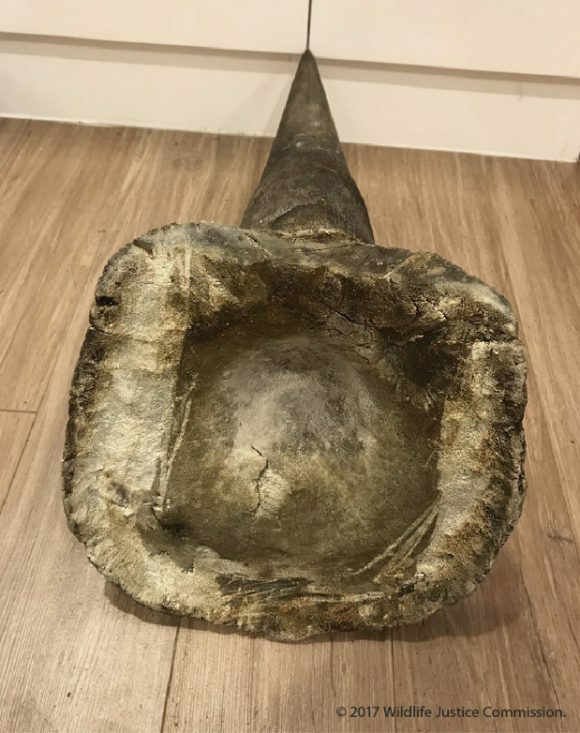 Base of a rhinoceros horn. There is a scientific consensus that the base of a white Rhinoceros will be square. This type of information helps to trace the potential origin of the horns. 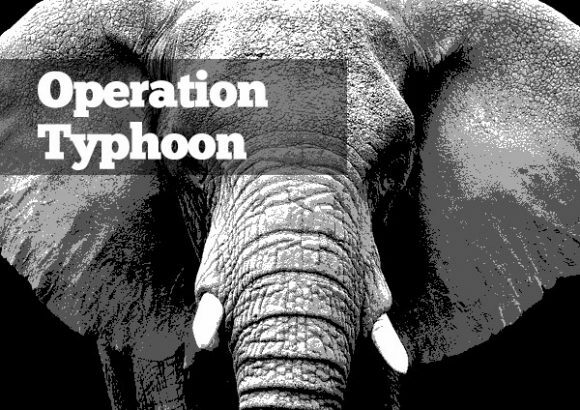 WJC investigators witness the illegal trade of ‘raw’ rhino horn and ‘worked’ rhino horn products every day in Asia. 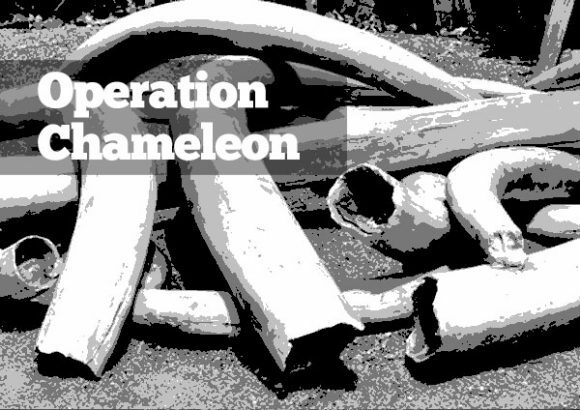 In a recent undercover operation, WJC operatives were offered 76 rhino horns by single wildlife trafficking network. 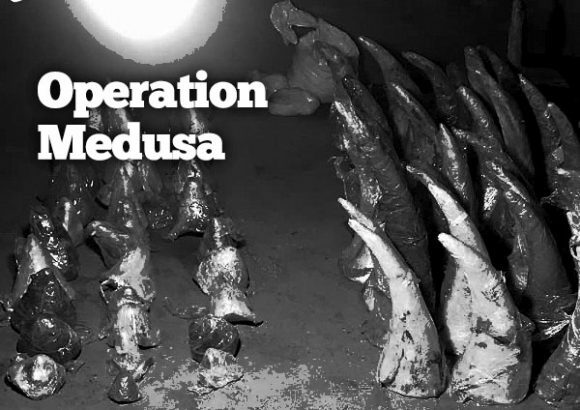 At USD 18,000 per kilogram, these horns are valued at nearly USD 20 million and represent a minimum of 50 rhinos. 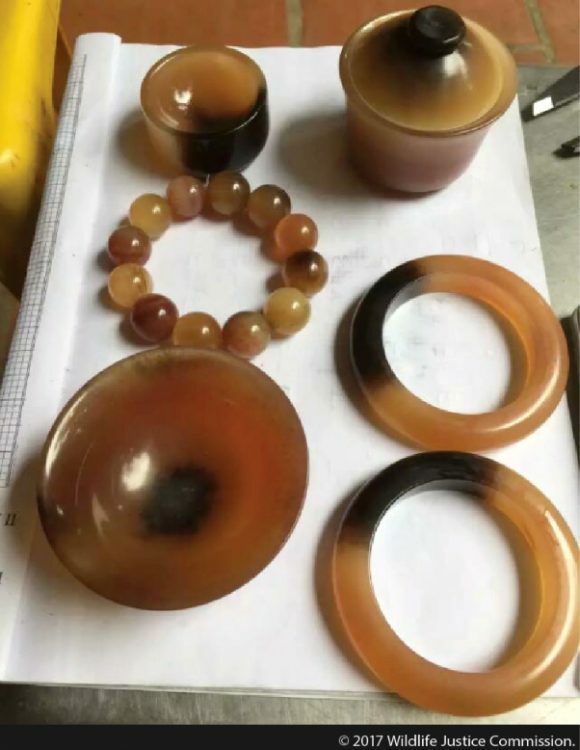 Demand for products made from rhino horn, including jewellery, libation or tea cups has emerged in the past few years as these items become more popular in certain regions of Asia.